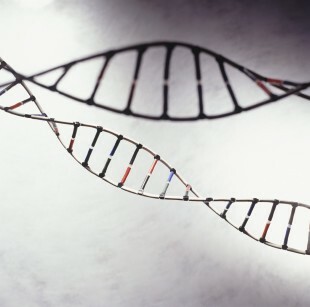 The Government’s revolutionary DNA-sequencing project has recruited its first patients from Yorkshire and Humber, signalling a new era of twenty-first century medicine in the region. The ground-breaking 100,000 Genomes Project, launched by the Prime Minister in 2012 with over £300 million worth of investment, aims to better understand the role of DNA in predicting and preventing disease, and is ultimately intended to launch a service in the NHS which diagnoses and treats patients based on their genetic makeup. The patients have been recruited through Yorkshire and Humber’s Genomic Medicine Centre (GMC), one of thirteen specialist NHS sites across England which collect samples for the Project from patients with cancer and rare diseases. Our revolutionary 100,000 Genomes Project is bringing twenty-first century medicine to NHS patients in Yorkshire and Humber. Recruiting the first patient not only confirms the region’s vital role in enhancing the UKs reputation as a world-leader in medical science, it will also help to pioneer new ways of diagnosing and treating cancer and rare diseases. Donna Proctor, a 49-year-old domestic supervisor at Seacroft Hospital, became the first person to provide a blood sample, as she is being investigated for a rare disease which results in an inherited predisposition to cancer. This could make all the difference for people in the future if it helps researchers find different treatments or cures for cancers. I think it is a really positive thing to do and I would encourage everyone who is eligible to take part if they can. As a whole, the 100,000 Genomes Project can give potentially vital information about some of the world’s rarest and most devastating diseases, which not only benefits patients but also their families. The project has already delivered its first successes, with children at Great Ormond Street Hospital recently receiving life-changing diagnoses. In the Spending Review last autumn, the Government committed a further £250m funding for genomics, ensuring the continued role of Genomics England beyond the life of the Project and up to 2021. Genomics is key to the future of medicine. Patients with inherited genetic disorders and cancer will benefit though the provision of more efficient diagnosis, better patient information and by enabling access to the next generation of targeted therapies. We will achieve this by harnessing the enthusiasm of clinicians and patients across the region.